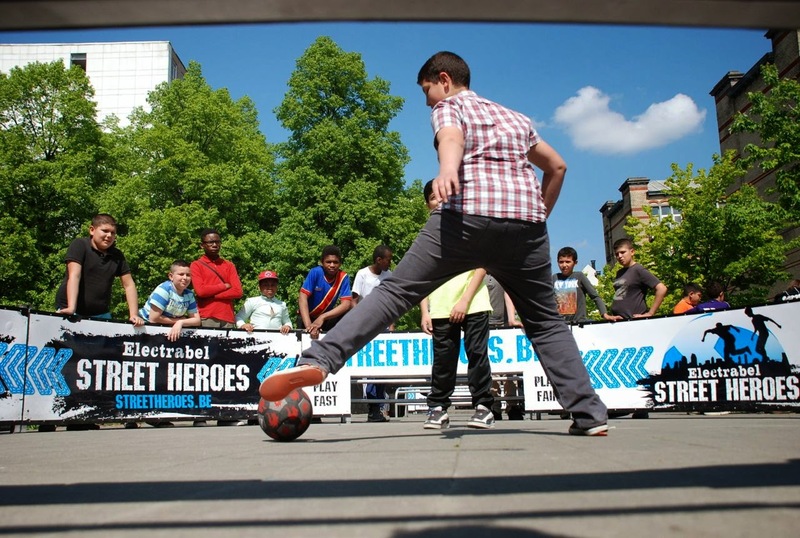 Street Heroes is an urban football tournament where the name of the game is to nutmeg your opponent. The fancy footwork on display at the Belgian Street Heroes tournament isn’t just about showing off. The name of the game is to panna, or “nutmeg,” your opponent. In other words, you have to get the ball between their legs. The moves these guys (and a few gals) can do aren't easy. The rules of the game are simple though: it’s 1 on 1 for three minutes and the first person to nutmeg their opponent wins. If no one gets a panna, the one with the most goals wins. You can only shoot when you’re in your opponent’s half, and the ball has to go directly into the goal – no deflections. Don’t miss the Brussels finale coming up on May 11. Find out more about the tournament, including dates in other cities throughout Belgium, on www.streetheroes.be. And finally, have a look at this video for some of the best of the best in Belgian panna (if you don’t see the video, click to view on YouTube).